With the upcoming Holiday season upon us, I thought it would be super fun to offer up a couple of games to add in for your family gatherings so you can play and connect with your loved ones. Actual board games are such a great way to connect and share laughter with your family that I think doesn’t happen as often as it should anymore. 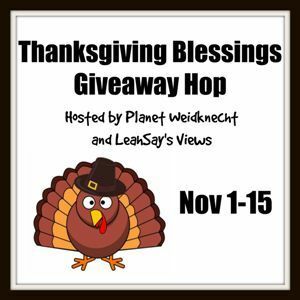 I was more than happy to link up with Planet Weidknecht and LeahSay’s Views with the Thanksgiving Blessings Giveaway Hop. You know I love a good giveaway and more than happy to offer you up something that I’d love to win as well. This giveaway runs until the 15th of November, so plenty of time to get those entries in! Make sure to visit all the others playing along as they’ll have some amazing stuff too! The two board games are: Scribblish and Jungle Speed. (amazon associate links, buying through the links will give me a bit of kick back to help run the blog and offer future giveaways). Scrbblish is a fun drawing game where you guess which image comes from the original card. I personally haven’t played this one so I can vouch for it, but I am sure if you love drawing and guessing you are going to love it. After all, it’s made by Hasbro and they make awesome games! Cranium Scribblish is the game of outrageous drawing and confusing conclusions that’s fun for the whole family! Not an artist? No problem! Scribble your way to victory. 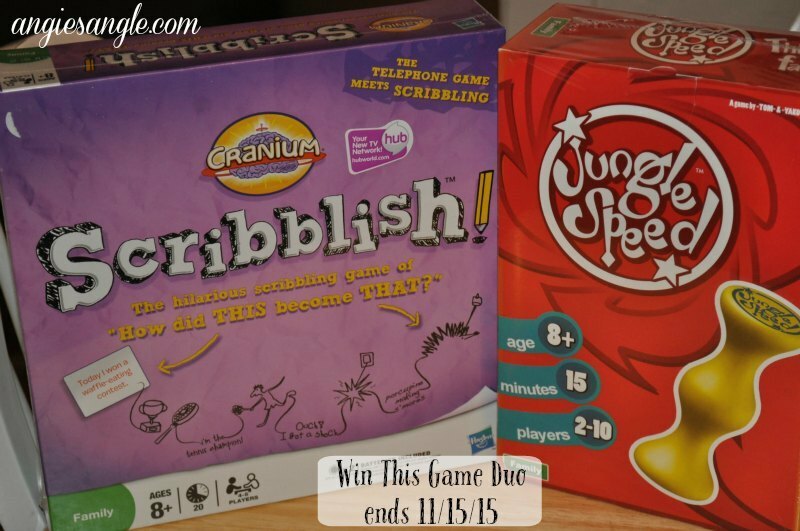 Let the funniest moments win with Cranium Scribblish! Everyone plays at the same time, every turn, with Cranium Scribblish. Great for all ages and drawing skills. Jungle Speed is all about a quick hand and a keen sense of observation. I can totally vouch for this game as I have it and I love it. It’s so much fun. The more you play I feel the more you like it too. Together they make an excellent start to your next game night or family gathering! Enter the gleam platform below for your chance to win. USA only please. Come back often as the entries might change and you can earn daily! 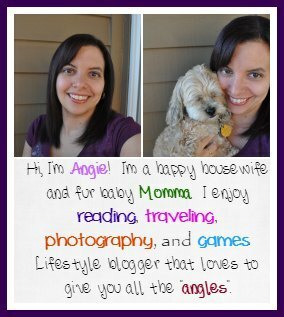 Now that you have entered my giveaway for the Thanksgiving Blessings Giveaway Hop, “hop” around the others and enter for some more goodies!